Volunteering is an important way to support our schools. We rely on volunteers as extra classroom hands, reading buddies, conversational partners for students learning English, and more. Parent involvement and community support are vital to the well-being of our school system and, in particular, to each student who benefits from the personal attention that volunteers can offer. 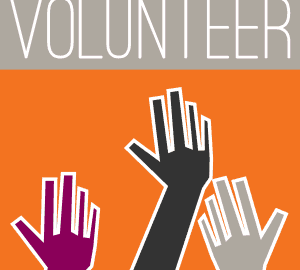 To volunteer, speak with your child’s teacher, call the school, or attend a PTO meeting to see how you might be involved as a parent. The Adult Learning Center welcomes volunteers to assist with GED and ESL classes. Contact the Adult Learning Center at 245-2815 for information. Book Buddies is a program where volunteers assist elementary students with one-on-one reading and reading comprehension. Contact the Book Buddies coordinator at 245-2415. City Schoolyard Garden has created outdoor garden classrooms at all of our elementary schools and Buford Middle School. Gardening assistance is welcome! Call 260-3274. Different schools also organize service activities through clubs and classroom activities. Check with your school to learn more about ways to get involved. In addition, Teens GIVE is a Charlottesville City service-learning program that places children, ages 9–18, in supervised relationship-based volunteer activities. Volunteering is supplemented with tutoring, mentoring, life skills training, case management, reflection activities, counseling, and other support services. Students at Walker, Buford and CHS can see their school counselors to find out more about Teens GIVE.